Discussion in 'iPhone and iPad Games' started by eugekava, Feb 17, 2015. 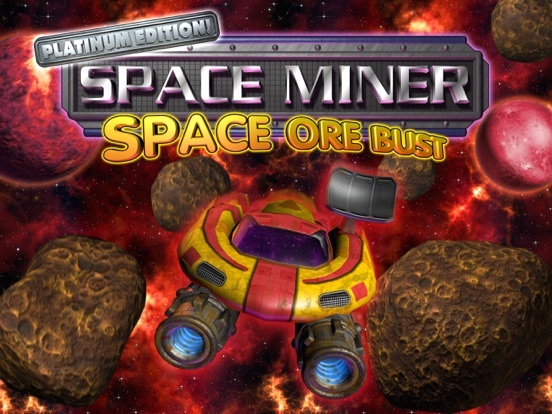 The original Space Miner thread was bugged, so this new thread was created from the point of the "Platinum Edition" update being released in February 2015. If you'd like to read through the original thread, you can find it HERE. The iPhone and HD versions are the same price now. The update will probably make both universal. Must not be long now. The Game of the Year award-winning action-RPG is back in a big way with this new MEGA UPDATE! 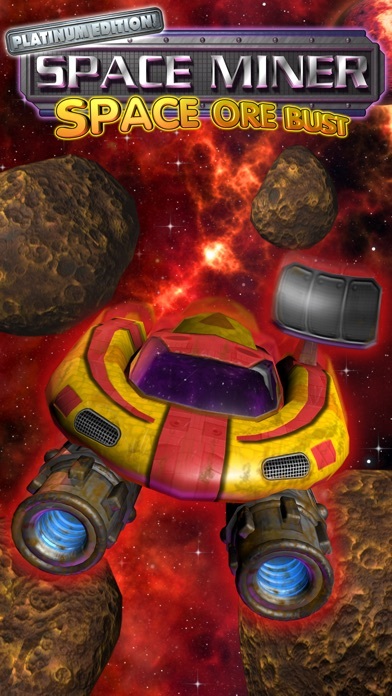 With a brand new storyline, new enemies, new asteroids, and new gear, it's the perfect time to experience this iOS classic for the first time! - New bonus storyline that continues the adventures of Uncle Jeb and the Gritstone Mining Company! - A new map filled with 16 new sectors to mine! 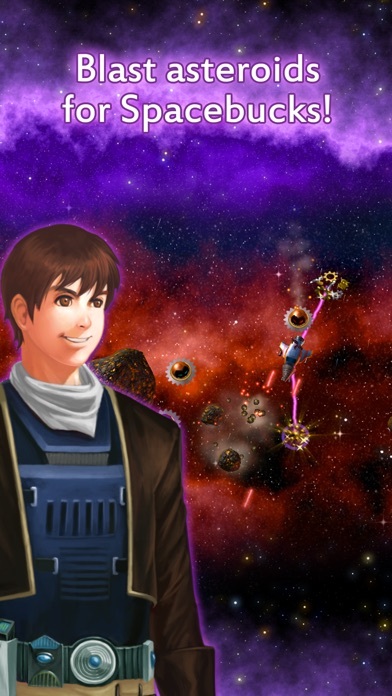 - New asteroids, tougher enemies, and brand new secrets to uncover! 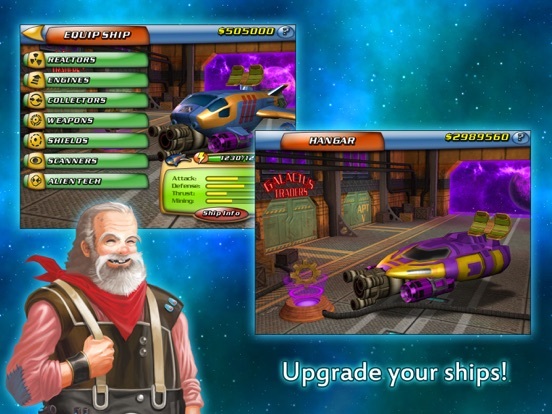 - Two new License Levels, with top-tier ship equipment to match! 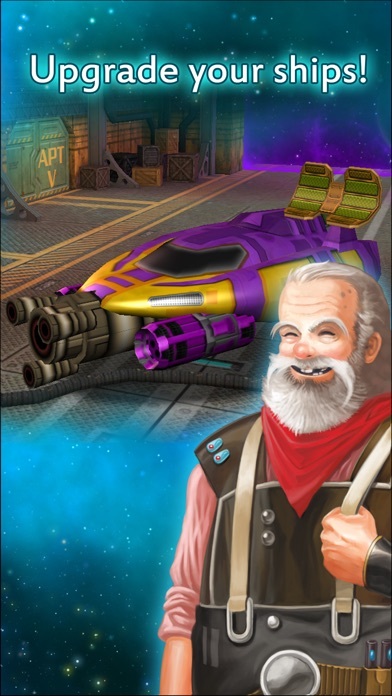 - A new ultra-powerful level 8 ship, designed by billionaire madman Bancroft! 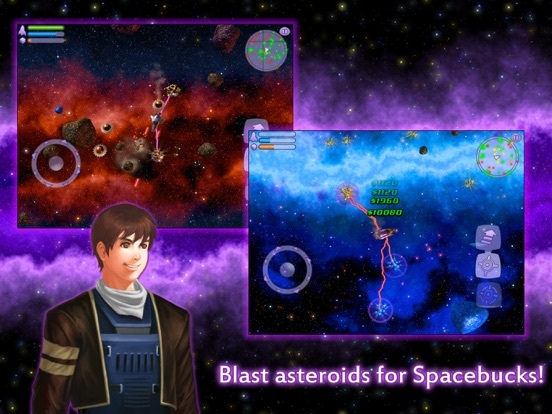 Since its original release, SPACE MINER: SPACE ORE BUST has been hailed as one of the greatest iOS games of all time by critics and customers alike. Don't believe us? Check out these reviews: "Without a question, this is one of the best games I've played since the App Store went live" - Toucharcade.com (5/5 stars) "HOW GOOD IS SPACE MINER. The answer is INCREDIBLE GOOD. It's probably the best original game to hit the iPhone." 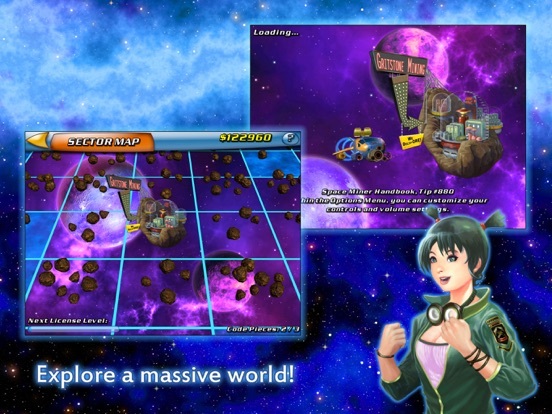 - Gizmodo "Space Miner: Space Ore Bust gets my total complete recommendation. Long gamelife, great polished graphics and most importantly fun gameplay in space accompanied by banjos. Now I want a sequel." 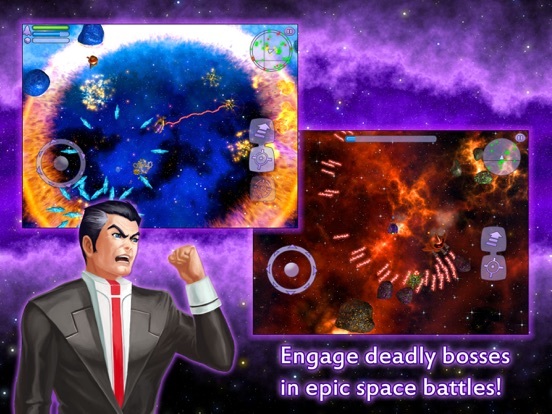 - Touchgen.com (5/5 stars) "Few games truly stand out like Space Miner does." - Slide to Play (4/4 - Must Have) App Store Rating: 4.5/5 (over 5,000 reviews!) Onion AV Club: Grade A No Dpad: "MUST HAVE" App Spy: 5/5 _____________________________________ Still reading? Awesome! Here are some more good reasons to pick up SPACE MINER! - Hours of space-blasting gameplay across a massive 64-sector, non-linear galaxy! - Fully upgradeable and customizable ships with literally thousands of possible equipment combinations! - Hilarious storyline featuring top-notch writing! - New Game+ mode lets you keep your game-changing ALIEN TECH and play on harder difficulty modes! - Full Game Center integration for Achievements and Leaderboards. MFi controller support would make this awesome game all the more enjoyable and amazing! I second this. This game is a perfect fit for hardware controls and airplay mirroring to the big screen! 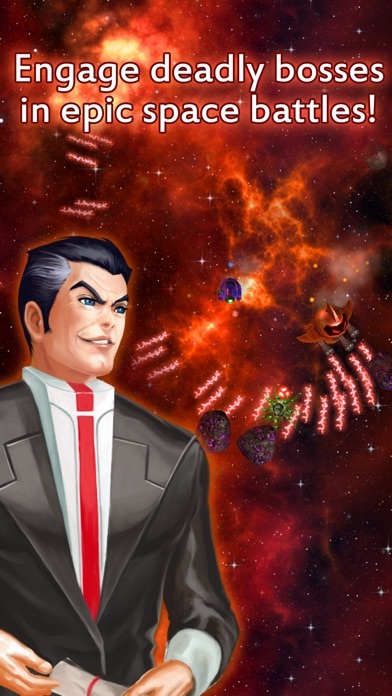 This is one of the best games ever released on iPhone platform and IMO the perfect DSS. This game is to the iOS platform as metroid is to NES. It's JUST that DAM GREAT!! If by chance you have not had an opportunity to play this game, and your a gamer, your robbing yourself of such a remarkable gaming time. You MIGHT get 2-4 A+ gaming titles a year... Where everything comes together perfrctly.. Graphics, story, world physics, game mechanics, controls, variety of game play, replay ability.... This is one of those games. Once you play this game and beat it, game will stay with you as every other future title is judged. Edit: please please no free to play... I'll preorder the game right now!!! Or if free a option to buy the game out right! This game is so awesome!!! I'm on it!!! DLing now!! Can't wait to start all over again!! I seriously can't wait for a proper sequel! Oh the agony of being at work without wifi -- I can't download the update until I get home tonight, but it will be the FIRST THING I do! Looking forward to replaying -- thanks again, Venan! This is one of the few games I played to the finish -- twice. Great game. If you like asteroid-like games, pick this one up. What kind of game is this can you give me some examples of other games on the app store now? Thats how I like to see if its my type of game nowadays. At its heart it's a dual stick shooter/rpg. 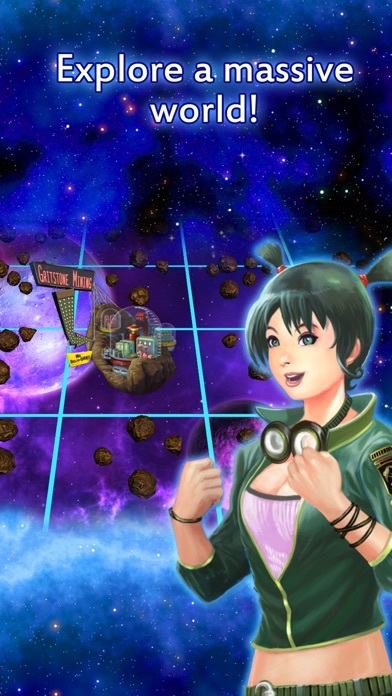 It's not all about just killing npcs but a WONDERFUL mini game by mining the ore from destroying asteroids and leveling up your tractor beam to put together insane chains for HUGE bonuses in cash to be able to upgrade your hull, weapons, shields, reactors, engines. Do yourself a favor... Just buy this game... Your in for one of the best gaming expierenced of your gaming life if you have never played this. It's masterfully done in every aspect. Ah, no MFI controller support, but hopefully they consider it for a future update! you ever played asteroids? this is like a modern take on it with a story, ship upgrades & evil robots you should shoot. This is AWESOME!! Have been waiting for this since I first heard about it! Now, hoping devs will start making the sequel! Anyone knows if the devs are on here? If so, maybe give a update if they are working on a sequel? I've played this game from start to finish in 3 different devices, going for number 4 now. Yes, I've played this so many times...five years later, I wish there was a way to give them my money all over again so they can keep making great games like this. The new version (platinum) looks good on my iPad mini although I wish there was antialiasing. The ship edges look pretty jagged. Thanks for the imps everyone! You could always gift the app to someone. @eugekava: is this a mini1 ? If not its the missing retina resolution. Wat ios version are you running? Like so many, i too am a big fan. Update looks great. Cant wait for the sequel. Just please dont make it freemium, even though those games make more money.